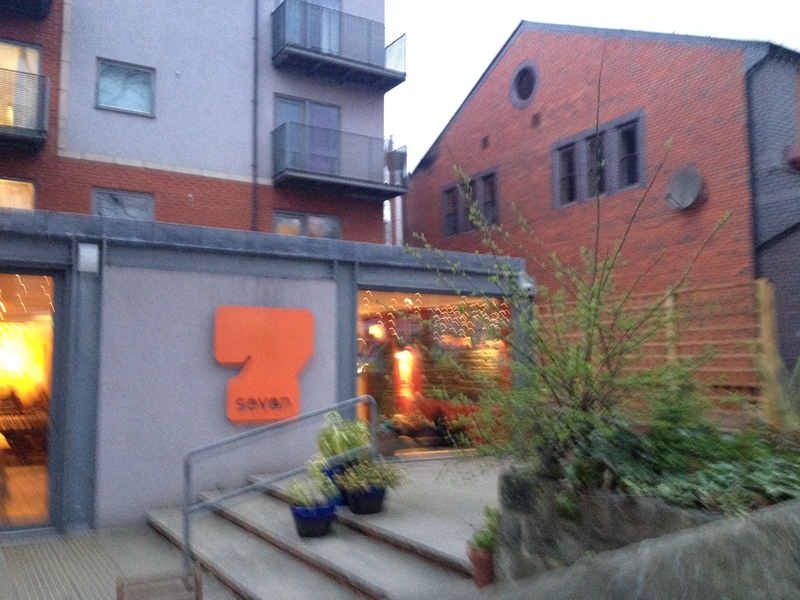 A not-for-profit arts space in Chapel Allerton know as Seven, became the setting for last night’s Minicine road trip. Woody and I took a walk from Leeds city centre in order to work up an appetite in our anticipation to try some of the food being served at the café inside Seven. The venue is not unlike those cool art deco houses from the sixties and seventies that reside in forests that you sometimes see in films – large windows amidst the greenery, minimal yet warm interior. From the get-go Seven felt like a place very comfortable in its extensive and eclectic arts and events programme and that people should feel as equally comfortable to hang out there – we did! 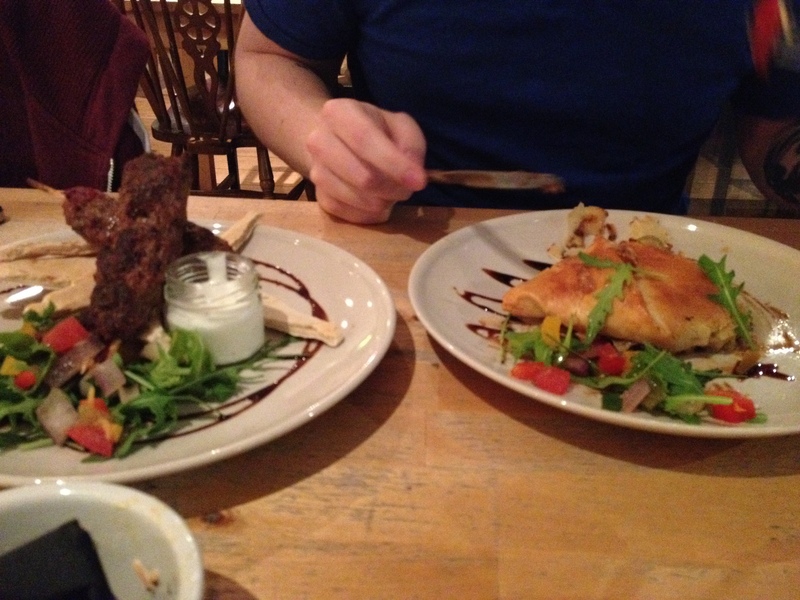 The food is tasty, the staff friendly and the hot chocolates are delicious! Woody’s meal. Didn’t take a photo of mine, too busy enjoying it. It was mushroom stroganoff in a jacket potato if anyone’s curious. Really tasty! Okay, okay, no more food! I promise to get to the film now and the community cinema ran as part as Seven which is titled, Screen Seven. 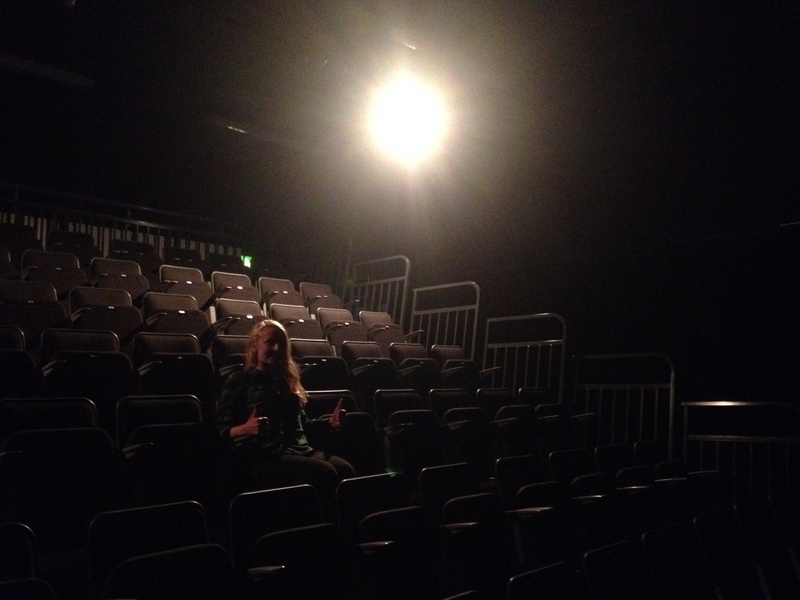 They screen films every Monday at 8:00PM inside Seven’s performance room – used for drama, dance and film. It’s tiered seating and large screen make for a comfortable and intimate watch, which was perfect for a screening of Before Midnight (2011). Director Richard Linklater of the ‘Before’ series has cultivated an audience now accustomed to the privilege of the closeness we share with characters or better yet, friends, Jesse and Celine. Long takes, no more than a few locations and set over two days, Seven was a great place to take in the what might be the last part of Jesse and Celine’s relationship that we get to see. Fed and full of inspiration from the film our walk back to Leeds was spent conversing about great films and TV instead of the daily grind. Thanks Seven, we hope to be back again soon! P.S. Our next stop on the Minicine road trip is at Wakefield Film Society. For more photos of our road trips, check out our Instagram.